It’s New Year’s Eve. 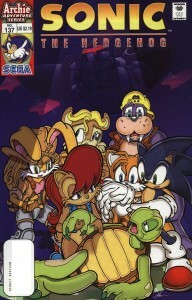 Not exactly a whole lot going on in terms of video games, Sega or Sonic the Hedgehog even. But hey, the world hasn’t ended yet! This year certainly has been full of surprises for everyone, including us here at Sonic & Sega Retro. We hope to see you in the new year. In the meantime, there’s still plenty to go around in terms of news and whats happening. 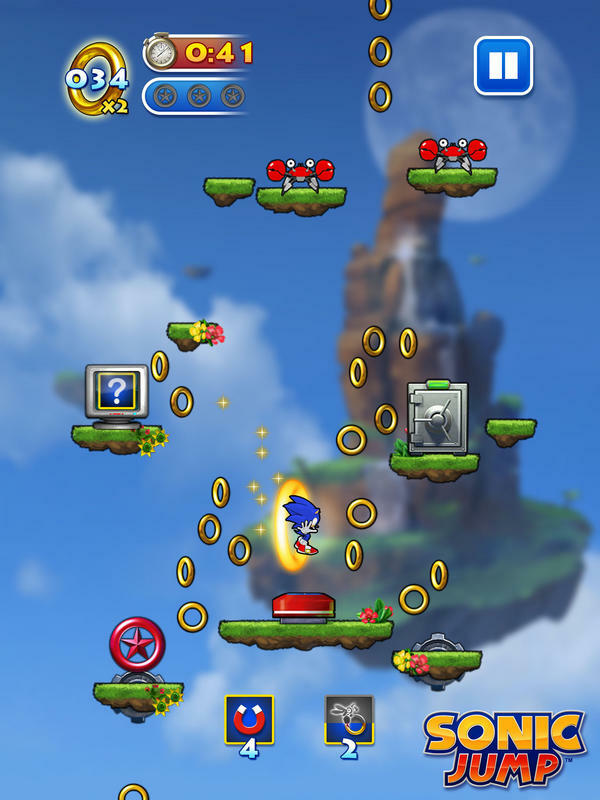 A week after Sonic Jump got released for Android devices, the iOS version of the game has suddenly become free. If this is just a one-day deal or a permanent price drop is unknown, but seeing how this sort of deal happens often with iOS games it’s most likely the former. So if you have an iPhone or iPad and like free stuff, you might want to go get it. You can grab Sonic Jump here. Note that all the things in the in-game store do still cost money. The game still costs two bucks for Android users, so if you’re one and are willing to pay money for it you can go buy it here. Update: Turns out this is part of the 12 Days of Christmas promotion on the App Store, meaning that it’s only free until tomorrow, January 1st. We’ve got one more surprise stream for you all before the end of the new year. We will be joined by Chimera of the Unleashed to Generations conversion team checking out one of the levels and will be able to take your questions. Check back at 4PM Central (That’s less than an hour if you’re just reading this!) and come join us! UPDATE: The stream is over, if you missed it you can still watch it archived (cut into lots of parts due to connection problems) here on our Twitch channel. 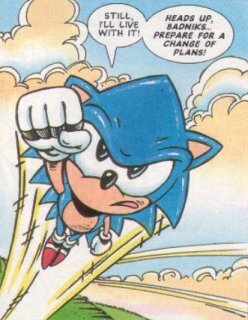 Looking at the comic book as a whole, it’s pretty clear that the entire staff – not just Ken Penders – had some trouble transitioning to the Sonic Adventure era of the franchise. After all, Sonic the Hedgehog was based primarily on the Saturday morning series, which featured characters and settings far removed from the video games. 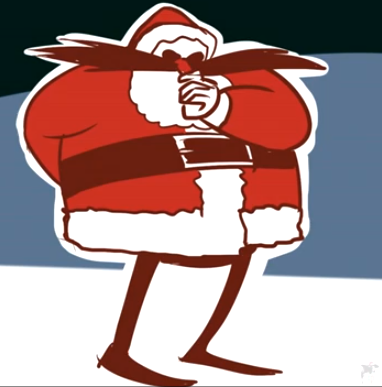 Even characters like Dr. Robotnik were extremely different, his visual appearance and chilling vocals as far removed from the Dr. Eggman design as one could get. 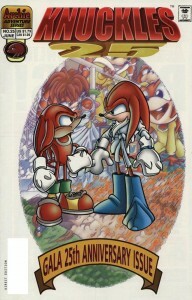 Even though Robotnik had been briefly retired, when word came from the licensing department that the newest game was to be adapted in the pages of the series, the staff was given a tremendous challenge. How would one reconcile the anthropomorphic world of a polluted and corrupted Mobius with the human-friendly, pristine world of Sonic Adventure? The hardest hit, though, had to be Ken. Here was a man who, regardless of how you feel about his work, had spent years creating this entire world for Knuckles the Echidna from scratch. 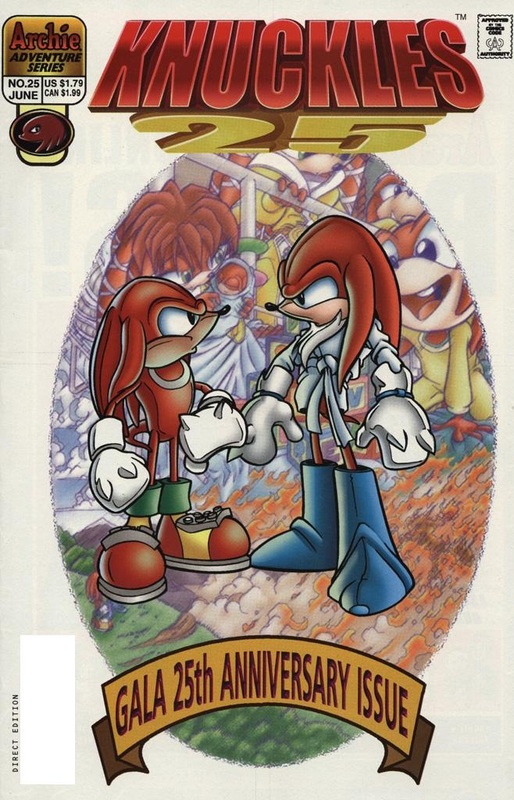 Then one day, you’re told that your carefully crafted history has to be pushed aside to include the backstory for Knuckles as introduced in Adventure. The story of Pachacamac, Tikal and Chaos contradicted Ken’s take on the creation of Angel Island at every turn. Coupled with the cancellation of Knuckles’ solo series, it comes through that Ken was writing something his heart wasn’t in. His long-term plans for characters that weren’t even his had to be changed, and pet projects like the original Knuckles: 20 Years Later were put on indefinite hold. Having grown a garden in one place and then being told that you’re actually supposed to be making taffy? That has to take a toll on anyone. It wouldn’t surprise me if, in some regard, Ken resents Sonic Adventure and the elements he was forced to play with. Unless you’re like my family, you’re probably going to be off celebrating the holidays with your loved ones or at the very least unwrapping presents and doing your best Nintendo 64 kid impression of sorts over that Wii U where you’ll spend countless hours playing System Update. No matter who you are or what religion you may be, we’ve got a handful of things that might interest you this fine Monday.